Before you find the quickest shortcut to your destination, or dodge reckless drivers, consider how safe your child is in the car. Safety is one of the biggest concerns for any buyer. There are more than enough features to choose from. Learn five ways to ensure child car safety. You need safety locks to prevent small children from exiting the car unannounced. Whether the car is moving or not, you do not want the child to make an exit. Buy a car with an automatic locking system that is operable only in the driver’s seat. Install locks to prevent the child from exiting a speeding car or getting hit by another one. Child safety seats are specially made to prevent children from flying through the windshield during a collision. They are particularly vulnerable to the different injuries that occur. The seat is usually bought and secured by the driver, but you must buy the right one. Consider the child’s height and weight so that the fastened belt is not too tight or loose. One child could fall out of a loose belt, and another one could get slashed by a tight one. 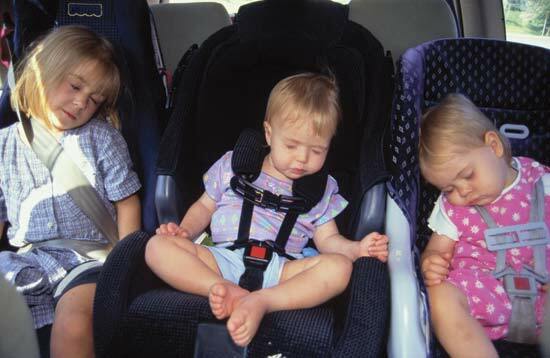 If you need safety seats, make sure you use them properly. It is sudden and unexpected when an object busts through a window. However, it can happen more easily than you think. Not all windows are made equally, so choose one that is built for strength. Also, buy a car with an automatic feature that keeps the windows rolled up. A wireless door alarm is a good tool for any driver with a fidgety child. The alarm is easy to install and even easier to use. It sounds off every time the door is opened. The sound lasts until the alarm is turned off. Install this alarm on windows and gates along with doors. According to North Shore Driving School Ltd., using the phone as you drive is never safe or recommended. Look for a model that contains a hands-free device or buy your own. Keep both hands on the wheel in order to avoid a crash. Stay focused on the road so that no child gets placed in danger. Keeping your child safe should be your main priority. Every child is curious, so every riding experience is dangerous. Buy a child-safe car model or make a few, simple improvements. First, buy the right child safety seat. Then, secure the doors and windows so that no one falls out. Also, improve your driving skills if necessary by enrolling in a driving school.